Now you can practice with some of our most popular knife designs, in relative safety, with our new rubber training knives. The Santoprene rubber blades are soft enough to prevent the likelihood of most bodily injury. They do however, have a level of firmness that might cause injury to the face or the eyes. 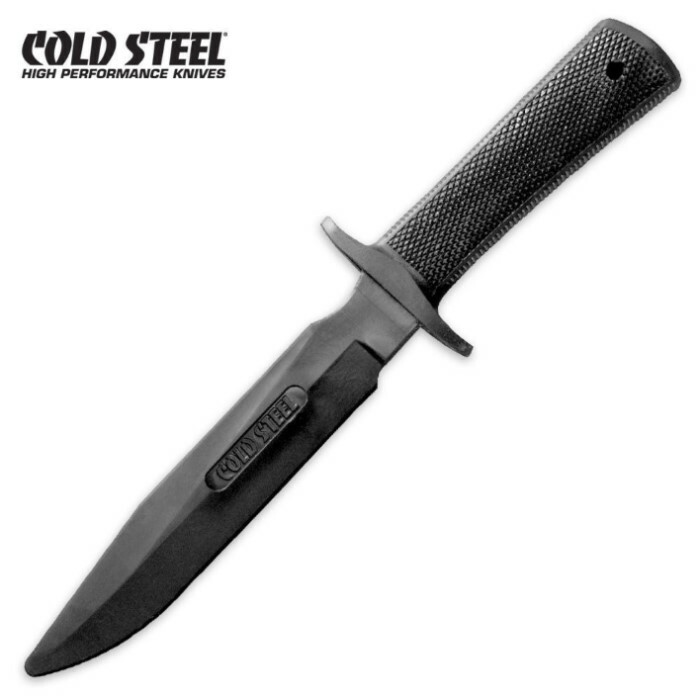 Features a 6 3/4" blade with a 4 3/4" long handle. Overall 11 1/2"